"Bushy beards and mustaches, turbans and talwars have been unstoppably creating history and etching its sovereignty in the pages of history, since the time unknown. 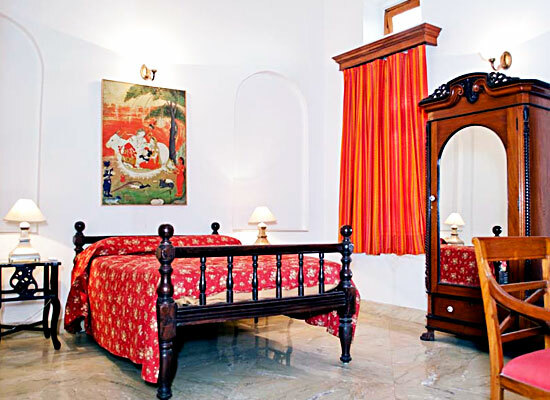 Experience utter splendor and the unfading existence of the Maharajas of Punjab in Hotel Baradari. This heritage hotel is untouched, and is as raw as it was hundreds of years ago. 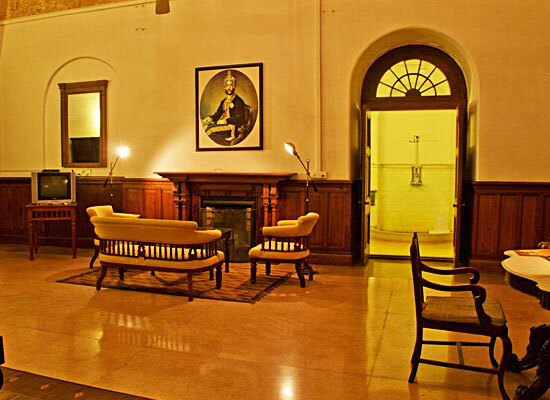 The hotel is designed by Sahib Ranbir Singh in 1876. Sahib Ranbir Singh was younger brother of the then Mahahraja, Rajinder Singh. This Singh-Mughal style of architecture has been an epitome of beauty and intellect ever since its inception. This palace was once Asia’s largest residence, where lived the royal family of Patiala. With the growing years, Baradari attained impressive appreciations. The Palace has also housed Shahi Mehmandari (the state guest house), Punjabi University and Punjab state archives. Today the grandeur and charm of this edifice is nowhere even close to being faded. The Palace now serves as a heritage hotel in Patiala with every possible regal amenity on earth. 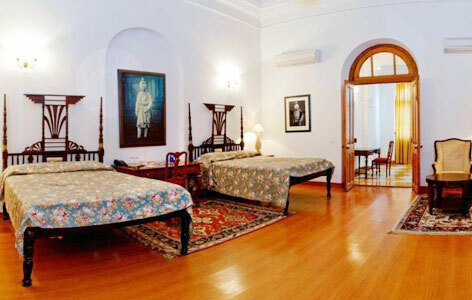 The accommodation at the Hotel Baradari Palace is inclusive of 8 suites as well as 7 rooms and 2 grand rooms, which have been named after the kings of Punjab in the bygone era such as Kaursahib Ranbir Singh, Maharaja Mohinder Singh, Maharaja Rajinder Singh, Raja Baba Ala Singh, Raja Sardul Singh and so on. The décor has been done aesthetically and is going to take you back in times, as the traditional royal touch has been kept intact in all the super spacious rooms. You can take pleasure in all modern-day amenities and services. 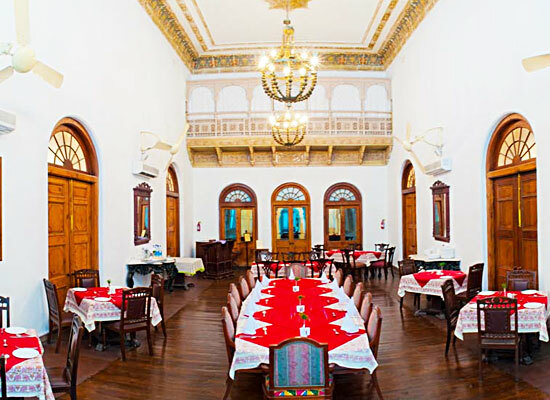 Hotel Baradari is a host, which puts its guest’s needs at the top of the priority list; and this is evident through its décor, services and food. The dining scene is set with exquisite ambiance and scrumptious food. The royal restaurant area of the hotel serves North Indian, Chinese and Continental cuisines- all served and cooked by experienced professionals. The restaurant never fails to captivate its visitors and put them in an era bygone. Every corner of the area is designed with a mesh of absolute simplicity, grace and grandeur. Patiala is a cultural city, located in the southeastern part of Punjab, a state in northern India. This city is not only famous for its historical monuments, forts and palaces; but also for its paranda (a beautiful extension for braiding hair), turban (a traditional headgear), Patiala peg (a measurement of liquor), jutti (a kind of footwear) and patiala salwar (a kind of female trousers). Though Baradari would clasp you with its beauty and you might find difficult to step out of the hotel; we are listing some of the attractions near and around this heritage hotel, all of which are worth your while. Adjacent to the Baradari Palace is Baradari Garden, with expansive species of flowers, trees and shrubs. The garden has a statue of Maharaja Rajendera Singh and was built during his reign. Spend your time amid this fragile but powerfully healing nature and praise the lord for its flawless creation. Built under the rule of Maharaja Narinder Singh and Maharaja Bhupinder Singh, in the early 20th century, Moti Bagh Palace now has a national institute for sports. This structure with Rajasthani style of architecture has beautiful gardens with terrace, Sheesh Mahal and water channels; all of this merges to weave a perfect holiday. Sheesh Mahal exhibits world’s best aesthetics. Located in Old Moti Bagh, the palace is now a museum, art gallery, famed medal gallery and a culture centre of the North Zone. The biggest highlights of Sheesh Mahal are the paintings of Kangra and Rajasthani Qalam, placed in a mirror chamber. Situated in a ten-acre ground, Quila Mubarak Complex has the main palace of the city, also known as Qila Androon. Besides Qila Androon, there are other charming structures like Ran Baas, Darshani Gate, Shiva Temples and others; the complex is also fringed with bustling bazaar. One who visits this erstwhile royal residency is left spellbound.